Need help planning your vacations for this summer? Plan your next trip to a dope music festival. I’ve done the research to make sure Ja Rule isn’t behind any of these, we do not want another FYRE situation. Here are all the festivals with amazing lineups waiting to take your coins. Broccoli Con and Broccoli City Festival really is a festival for the people. A week long of conferences, workshops, art installations, games, and more ending the week with 2-stage festival right in the United State’s capital. The prices are fairly reasonable however they even have layaway plans if you need a little help budgeting it out. As soon as I saw the lineup, I knew what it was! As long as Curren$y and Wiz perform How Fly, I am good. This is the festival’s second year and with all your favorite smokers in one place this is bound to be a peaceful environment and from my festival experience that is RARE. This one is April 28, almost two months away, so you need to jump into planning it quickly. They still have a few early bird tickets available for $150 and you can purchase them here. Single Day Passes are available also. This is one of America’s longest running festivals and this is their 43rd edition. I included this festival because $155 for three days and $55 for one day is insane! It has a good mixture of artists and is not limited to hip hop. I have never been to Tennessee but this festival has 4 stages and is 3 days, looks lit for the price. You can purchase tickets here. JMBLYA is a popular traveling festival in Texas that started in 2013. This is a great deal to see some pretty big names for one day. Plan a trip to Texas and make sure to include one of these shows in your trip itinerary. You can purchases your tickets here. Described as "a hip-hop head's Disney World" by XXL Mag, this 3-day festival has one the best rap lineups I have seen for this year. They were offering payment plans but I did not see that option anymore. Anyway, even though tickets are pricey and can be purchased here it is 3 days with the best line up, something to think about. This would be a fun trip! Goldenvoice, the company behind Coachella, has announced Blurry Vision Festival. It will take place May 12-13 at Middle Harbor Shoreline in Oakland, California. The line up has a quite a few of my favorite artists and some I’ve been dying to see, like Alina Baraz. You have enough time to plan and it’s not too far away! The tickets are affordable, $185 for a 2-day pass or $99 for a day pass. You will be able to purchase tickets March 2 at 1 p.m. ET on the festival's official website. Looking for somewhere to go or something to do Memorial Day weekend. Everyone is going to the beach, head up to Minnesota where they have this dope 1-day festival. It's the 25th Anniversary of "Enter the Wu-Tang 36 Chambers" so they will be in attendance alongside artists like Jaden Smith, Migos, Erykah Badu and more. Tickets go on sale today and you can get them here at 1pm. I could not create this list without including the Governors Ball. 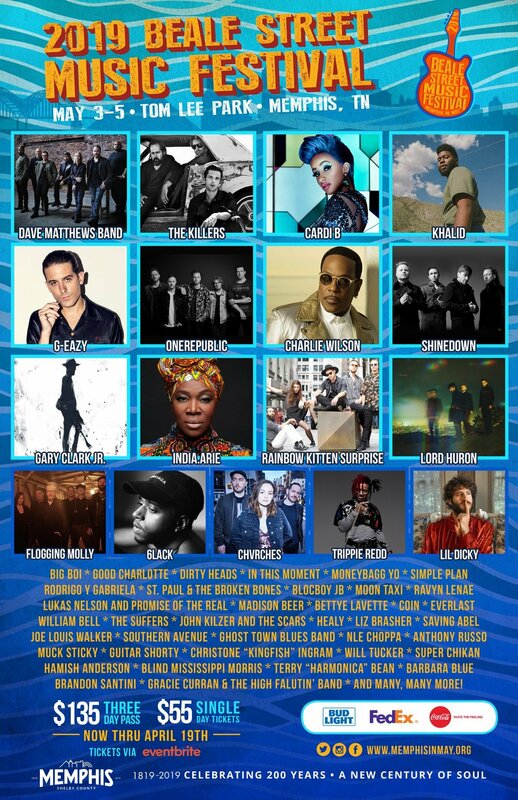 I've heard great things about this festival, It has a good mixture of different types of artists but the 2nd and 3rd-day lineups look the best. You can totally just buy a single day pass here if you are not interested in the other shows, which is what I may do. Have yall seen Dave Chappelle’s movie Block Party? Go watch it then tell me you don’t wanna be at this year’s Roots Festival. I have to be there. This event looks so lit and the fact that they are offering so much more than just concerts like the Lifestyle and Podcast Stages make me want to go EVEN MORE! Check out the lineup, buy your ticket here and plan a summer road trip to Philly! A few friends and I plan on traveling across the big pond this year, why not see how they do festival while we are at itt? Last year Solange and Frank Ocean headlined this festival, and this year I was excited when I saw N.E.R.D headlining beside some other dope names. The prices for the Lovebox festival are fairly reasonable, £115.00($158.73) for a 2-day pass,£59.50($82.13) for a Friday Pass, and £69.50 ($95.93). They also have a ton of artists I haven’t seen yet that rarely go on tour so I have my eye on this one! If you have your passport and this one looks interesting to you, you can purchase tickets here. Afropunk has not announced their line up but they have announced that they are doing BOGO tickets! When you purchase one general admission weekend ticket Afropunk gives one general admission pass to youth in the area. DOPE RIGHT?! Afropunk is a traveling festival also with shows in Atlanta, Paris, Johannesburg, and London but they have not released date for these. You can purchase tickets and keep up with Afropunk festival here.